Our roadside assistance specialists can help you with a wide range of services. If it happens that you have a flat tire or punctured tire, there is no need to panic. When we drive to your location, we will replace your flat tire for you, after which we will examine the other tires to make sure that they are in good condition and will not go flat when you are back on the road. The last thing we want to see is to put a spare tire on your vehicle that ends up going flat again. If you have experienced any type of car problem, simply contact us. 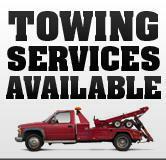 With a team of experienced towing technicians and experts, you can trust that our fast and effective solutions will get you on your way back safely and promptly. We are always on standby to meet your roadside service needs. We understand that you could run out of gas or fuel and not realize it due to busy schedules or works. Our car fuel delivery service will react fast to your distress calls. You can call on us at just anytime. Our 24-hours fuel delivery service will ensure you are not left frustrated in the middle of the night. You can choose to fuel your car tank fully or partially depending on your needs, we will be glad to assist you. Getting locked outside your own car is the worst feeling you can get, especially when you have errands to run. We would help you obtain your key out if you locked it inside the car or the trunk. Our locksmith and technicians can unlock vehicles without causing damage or scratches to the door seals or paint. When you have been locked out, there is no need to panic. Our services are available 24 hours. Once we receive your call, we will go to your location in the shortest time possible. All our technicians have the knowledge and the training to know how to handle different locks. With the expertise that our technicians have, we can assist you to regain entry to your vehicle.